I admit it: I’m a total Florida snob. My last experience of Disneyland Paris was a good 15 years ago; there was just one gate and it, at least to me, felt like it had little to recommend spending the amount that was required to stay there. 4 nights in Paris was equivalent to 10 days in Florida, and too much was lacking – weather, service, atmosphere, to name but a few. Yet, over the years, my curiosity started to creep back. What really swung it was the active Disney community on Twitter, among whom were some really committed DLRP fans. I was intrigued. And then I went and had a kid, and suddenly an 8-hour flight with a quite sensitive and strong-willed pre-schooler to the massiveness of Walt Disney World seemed too much. My in-laws then gave us the astonishingly generous opportunity to go, all together, to DLRP, and I admit I was excited. It didn’t let me down. Honestly, it is, in almost every way, entirely better than I remember it. Okay, there’s nothing you can do about the weather, but given the recent complaints about the condition of the rest – culminating in a 7,000+ strong petition addressed to Bob Iger, CEO of the Walt Disney Company, asking him to ‘save’ the resort – I was staggered by how good the overall experience was. I could argue my expectations had been set low, but actually I was far more actively impressed than tolerant. There were some issues, and I’ll come to those, but it general DLRP is a beautiful place, which when it comes to pre-schoolers, is entirely more convenient and enjoyable than facing that epic flight. Which is not to say that WDW isn’t my ‘home’ park and I can’t wait to get back there – but I might actually choose to go to DLRP again once in a while just for fun, because I had a great time. Also because it’s the one place in the world where Ratatouille gets its due – and, next year, a dark ride of its own. This, then is my overview; I intend to write up some actual tips separately to this as soon a I have a chance, though there are a few peppered through this. See this more as an overview than something to use for planning, but if it’s helps with that, then great. So, what’s the best of the resort? For a start, there are lots of pre-schooler-accessible rides. 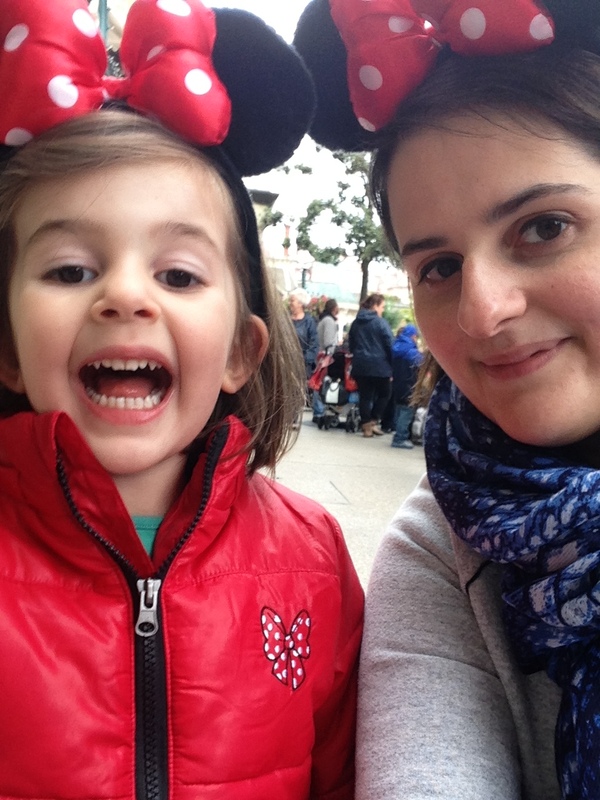 That my daughter was freaked out by Peter Pan was entirely down to her uncertainty about the dark and complete lack of experience with anything like it – it was my mistake to go on that ride first, due to my own eagerness. Many of the rides she loved were based on very simple, fairground premises, yes, but at three years old, who would expect anything else? The Mad Hatter’s Teacups, Dumbo, It’s a Small World (which enchanted my father-in-law even more than it did her) and of course character meet-and-greets all completely entranced her; she also hugely enjoyed Slinky’s Zigzag Spin and whirling round and round in Cars Quatre Roues Rallye. And it was easy, given the size and placement of the parks, to whizz back and forth a couple of times a day. Whether I have a warped recollection of cast members from my previous visits in the 90s, or they really have upped the ante I don’t know, but every CM I had any cause to interact with was charming, helpful and full of Disney magic. If they had slightly less of a spring in their step than their US counterparts, well, I didn’t feel shortchanged. Food is of variable quality and it is expensive, but buffets are extremely good value. Depending on lunch or dinner and whether it’s in the park or at a hotel, this could set you back between €22-32 for an adult, minus drinks and around half that for a child of 3+, including a drink. However, the quality is miles better than other quick service offerings, and the price is considerably more reasonable than the high quality a la carte offerings. Plus, if you’ve gone for advance meal plans, buffets tend to be included. There is oodles of choice generally including a fish dish, a roast, several other meat options, lots of veggie sides and a panoply of mini desserts. In the Studios, we also got a very cute visit from Remy. I could write a whole blog post on food here, and I still might, plus I intend to go into some detail about a pretty gorgeous experience at Blue Lagoon, but to summarise: eat well at breakfast, subsist on snacks as much as possible through the day and then pick a buffet for your other main meal. Don’t be tempted by a quick burger and fries unless you head out to Maccie D’s in the Village – the ones in the parks really are as horrible as you’ve heard. Alternatively, head into the Village for a €10 uber-toastie and crisp combo at Earl of Sandwich and leave happily sated. Speaking of nipping to the Village, Disney transport is really very good. The free shuttle buses are supposed to swing back and forth from Marne-la-Vallee station to the resort hotels every 15 minutes, but it was often more frequent. They were always clean, quick and a pleasant ride. In better weather, you can easily walk from most hotels in 20 minutes or less – just five from Hotel New York and, of course, no walk at all from the Disneyland Hotel. The amazing Disney Dreams projection show and fireworks also deserve their own mention. Just too excellent for words. And few things in this world could move me with more tear-inducing joy than watching my daughter’s jaw drop with delight at one of the daily parades. There are some unavoidably obvious maintenance issues, though not nearly as many as I’d been led to expect. Peter Pan‘s screaming brakes could be heard a full twenty feet from the attraction. Several Small World figures either didn’t work at all, or twitched frenetically (those poor hula girls). One Dumbo car was out of commission for our entire four day stay – over the course of the day, given it’s such a popular and central attraction in the busiest ‘land’ in the park, that’s a significant hit on capacity. Crush’s Coaster was down for three days straight, which meant that when it came back online the lines were too long for us to brave it (though in all other respects we were totally and utterly spoiled by off-season queueing in mid-September and had an absolute maximum wait time of 25 minutes for a character meeting, and 15 minutes for a ride – often nothing). Sadly Phantom Manor and Lancelot’s Carousel were under planned closure, but since that’s a sign of tackling maintenance head on, it’s hard to complain about it, and park management logically picked a less busy time of year to close these. As I said earlier, food is variable, and eating well is expensive. 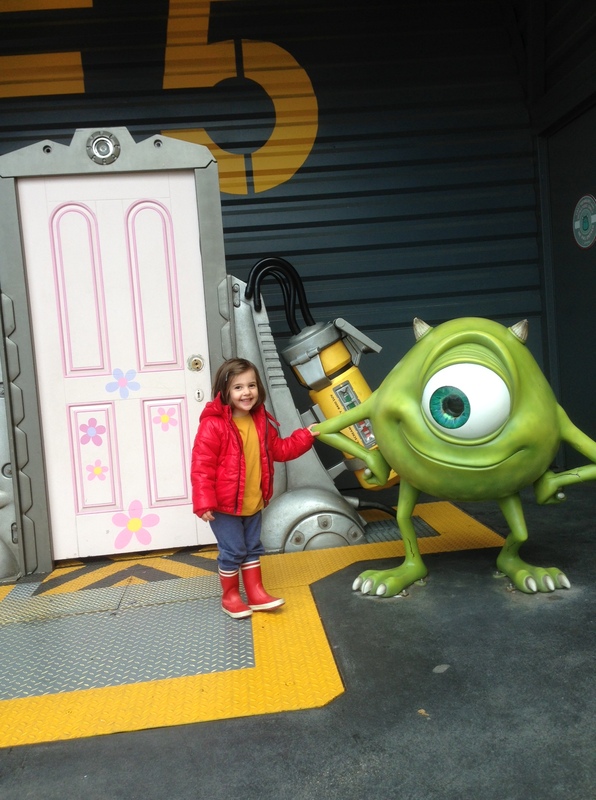 Where WDW has painstakingly improved its offerings every year to the point now where it is hard to criticise even the cheapest meals, Paris – Paris, for goodness’ sake, real Be Our Guest territory – is very mediocre at counter service level. But the biggest problem DLRP has is entirely not its fault – and no, it’s not the weather. It’s the guests. Some of the guests were really, really dreadful. Both DLRP rules and French law restrict smoking, yet I was caught behind smokers in queues for rides twice; what made this particularly annoying and upsetting was that they were rides for very young children: Mad Hatter’s Teacups and Buzz Lightyear’s Laser Blast. Why this hipster, for example, couldn’t have sparked up before joining a paltry 10 minute queue, I’ll never know. In both cases the guest did so out of the eye-line of a CM; I have heard it’s unlikely anyone would have said anything anyway, which is disappointing, but I couldn’t confirm it. I do know they did nothing to shush or attempt to control a rowdy bunch of men in their 20s who yelled and chanted through one ride of It’s a Small World; I simply can’t imagine that kind of nonsense passing in the US. There was also much less consideration from visitors when it came to litter. There are bins literally everywhere – close your eyes, spin around randomly, open them and you’ll see a goddamn trash can. And yet despite this, and the ever-present cleaning crews, guests conspired to litter at every opportunity; I picked up and threw away some packet or other every single day. On one Small World ride through, there were plastic bottles washed up against Egypt; they were gone by the next day, but it just made me mad that anyone would do it in the first place. After the extraordinarily gorgeous, absolutely WDW quality Disney Dreams! 20th anniversary show against the stunning castle, the streets were peppered with cups and bottles, and the CMs immediately out in force to stem the tide of rubbish. And, of course, there is the pushing and shoving at parade times. It was actually not as bad as I remembered, but it still happened enough to be noticeable. It’s possible that the only way Disneyland Paris management will have to resolve this is to expect even more from staff, so that CMs step up to demand better behaviour from visitors, but as a European twice over (British-born Greek), I’m embarrassed that we need that kind of enforcement. Chatting with others who have visited, it’s clear I’m not the only one to have noticed and bemoaned this. But I don’t want to leave this on a downer, because I really did have a wonderful holiday there. Four nights was just right with a three year old, because frankly you don’t want to disrupt their routine for less, and they will want to do everything fourteen million times given the option. As we were blessed in having grandparents on hand, we had a date night off to have a wonderful meal and see the show, as well as riding Star Tours (still the old version, and in French which I don’t speak, but no less enjoyable for my linguistic failures) and Pirates of the Carribbean. We found we were up at 6:45 and she was in bed by 20:30, totally but agreeably shattered (bearing in mind she doesn’t nap). The timings of the Eurostar trains are deliberately planned to allow the first and last days to be full half-days in the parks, and you need that first half day just to orient yourself – though the parks are wonderfully close to each other and the hotels, the total space is still larger than most people expect. So, all being well, these are the other things I’d like to blog about, and when I do I’ll come back and link to them below. 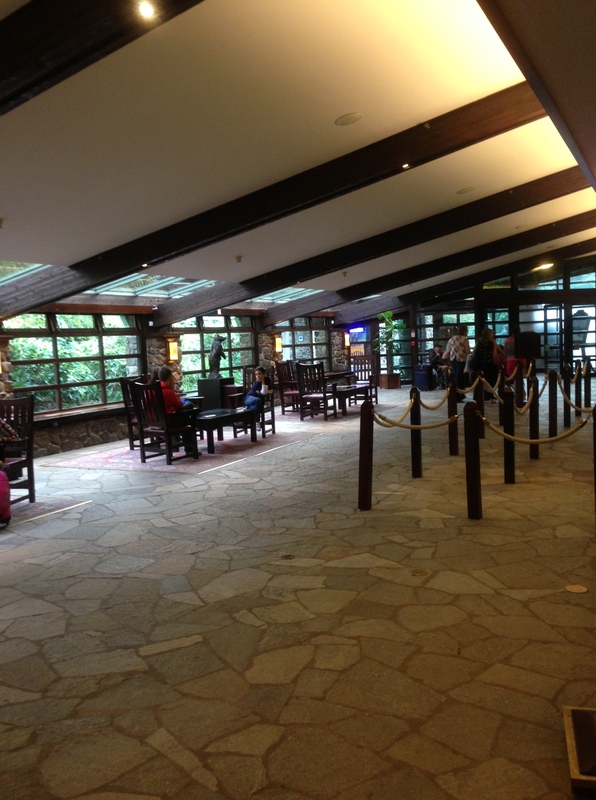 Disneyland Paris: Sequoia Lodge – FINALLY! 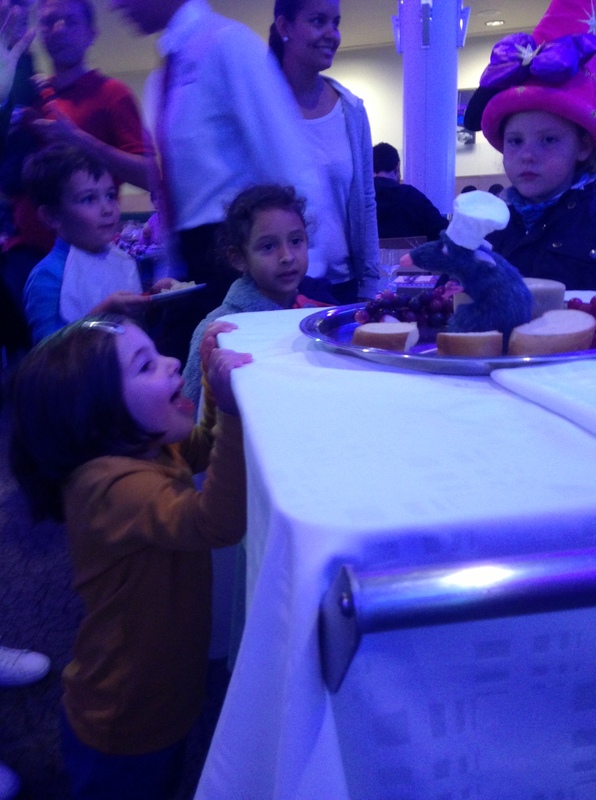 Disneyland Paris: Food & Blue Lagoon – look, I did it!